Learn about Jenkins for continuous integration as part of CI/CD, its advantages, and alternatives. In many projects, the product development workflow has three main concerns: building, testing, and deployment. Each change to the code means something could accidentally go wrong, so in order to prevent this from happening developers adopt many strategies to diminish incidents and bugs. Jenkins, and other continuous integration (CI) tools are used together with a source version software (such as GIT) to test and quickly evaluate the updated code. In this article, we will talk about Jenkins, applicable scenarios, and alternatives to automated testing, deployment, and delivering solutions. 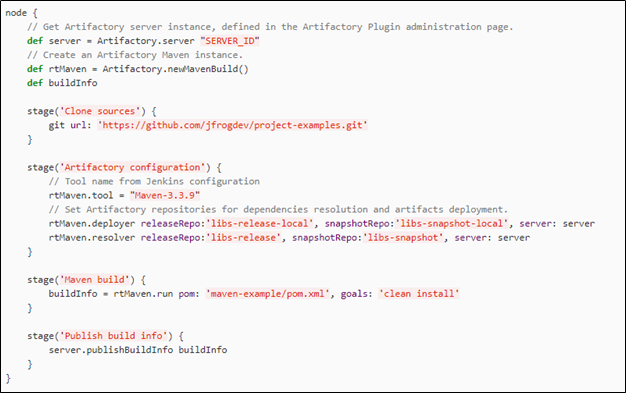 Jenkins is a popular self-contained, open-source automation server to perform continuous integration and build automation. Its elementary functionality is executing a predefined list of phases or jobs. In other words, every change in a repository triggers a pipeline of jobs that evaluates and executes different tasks to accomplish what has been previously defined. Each phase is monitored and allows you to stop the entire process and the change will be reported to the user by Jenkins. In large companies, it is common for multiple teams to work on the same project without knowing what the other teams are doing on the same code base. Those changes can create bugs that will only be revealed when both codes are integrated into the same branch. Since Jenkins can run its predefined jobs for every commit, it will be able to detect and notify developers that something is not right and where it is. Thousands of add-ons can be integrated with Jenkins, they provide support for different types of build, version control systems, automation, and more. It can be installed through native system packages, Docker, or be run by any machine with a Java environment installed. Jenkins is often used for building projects; running tests to spot bugs, to analyze static code, and deployment. It also executes repetitive tasks, saves time, and optimizes developing processes. Beginning with the second version, Jenkins introduced Pipelines, a different way to programmatically define a project build workflow. Before pipelines, the CI description was defined and stored outside the repository—it was designed to evaluate—now, with Pipelines, CI files are present in project source code. The file describes the workflow through a language which can be used to create different jobs in sequence or in parallel. Below is an example of a pipeline with four jobs (stages) which facilitates debugging when one of them fails (from https://jenkins.io/doc/pipeline/examples/). Let’s take a look at some of the main scenarios Jenkins plays a critical part in. Continuous integration is a practice that forces developers to frequently integrate their code into a central repository. Instead of building out new features to the end without any quality measurement, every change is tested against the central repository in order to anticipate errors. Every developer commits daily to a shared mainline and every commit triggers an automated process to build and test. If building or testing fails it can be detected and fixed within minutes without compromising the whole structure, workflow, and project. In that way, it is possible to isolate problems, solving them faster and provide higher-quality products. Continuous delivery is the ability to make changes of all types—such as new features, configuration changes, error fixes, experiments—into production in a safe and efficient manner using short work cycles. The main goal in continuous delivery is to make deployments predictable as routine activities that can be achieved upon request. To be successful, the code needs to always be in a deployable state even when there is a scenario with lots of developers working and making changes on a daily basis. All of the code progress and changes are delivered in a nonstop way with high quality and low risks. The end result is one or more artifacts that can be deployed to production. Continuous deployment, also known as continuous implementation, is an advanced stage of continuous delivery that the automation process does not end at the delivery stage. In this methodology, every change that is validated at the automatic testing stage is later implemented at the production stage. The fail fast strategy is always of the utmost importance when deploying to production. Since every change is deployed to production, it is possible to identify edge cases and unexpected behaviors that would be very hard to identify with automated tests. To fully take advantage of continuous deployment, it is important to have solid logging technology that allows you to identify the increasing error count on newer versions. In addition, a trustworthy orchestration technology like Kubernetes that will allow the new version to slowly be deployed to users until the full rollout or an incident is detected and the version is canceled. As a job executor, Jenkins can be used to automate repetitive tasks like backup/restore databases, turn on or turn off machines, collect statistics about a service and other tasks. Since every job can be scheduled, repetitive tasks can have a desired time interval (like once a day, once a week, every fifth day of the month, and so forth). Although Jenkins is a good option for an automated, CI/CD server, there are other options on the market such as Gitlab CI/CD, Circle CI, Travis or Bamboo. GitLab is a full-featured software development platform that includes a module called GitLab CI/CD to leverage the ability to build, test, and deploy without external requirements (such as Jenkins). It is a single application that can be used in all stages of the developers’ work cycle on the same project: product, development, QA, security, and operations. GitLab is a solution that enables teams to cooperate and work from a single step instead of managing thousands of threads across disparate tools. It provides a single data store, one user interface, and one permission model across the developers’ life cycle. This permits teams to collaborate reducing cycle time and focusing on building software more quickly and efficiently. Though Gitlab covers the CI/CD cycle thoroughly, it fails to do so for automation tasks since it does not have scheduling options. It can be a very good alternative since it integrates source code versioning and CI into the same tool. Gitlab comes in a variety of flavors: there is a community, open-source edition that can be deployed locally, and some paid versions with an increasing number of features. Circle CI is a hosted continuous integration server. After Circle CI is authorized on GitHub or Bitbucket, every code change triggers tests in a clean container or VM. After this, an email is sent every time there is a successful test completed or a failure. Any project with a reporting library provides code test coverage results. Circle CI is simple to configure, has a comprehensive web interface, and can be integrated with multiple source code versioning tools. Bamboo is a solution for continuous integration, deployment, and delivery. Bamboo allows you to create a multi-stage build plan, set up triggers upon commits, and assign agents to builds and deployments. It also allows you to run automated tests in every code change which makes catching bugs easier and faster. Bamboo supports continuous deliveries as well. Bamboo’s brightest feature is its seamless integration with Atlassian products: Jira Software, Bitbucket, and Fisheye, and can be improved with hundreds of add-ons that are available at Atlassian marketplace. Travis is another open-source solution that also offers a free hosted option for open-source projects (paid for enterprise clients). It uses a solution similar to Jenkins Pipelines: you add a file called .travis.yml that describes the project’s own build workflow. It also has parallel jobs builds but it does not have the same size of add-ons available for Jenkins. Integration solutions are a key step towards reaching delivery reliability. Every developer commits daily to a shared mainline and every commit triggers an automated workflow for building and testing; if building and testing fail it is possible to repair what is wrong quickly and safely and thereby increase productivity in the workflow. When we have a way to find problems and solve them quickly, we release higher-quality products and more stable experiences to the client. There are lots of options on the market to choose from to help the developers’ workflow. As outlined above, some of these are free solutions and open-source, while others are paid. Jenkins is one of the oldest open-source tools out there and as such also extremely popular. We at Logz.io are no exception here, and we use Jenkins to run tests, create Docker containers, build code, and push to staging and production.